I finally landed in La Paz around 4am. True to their word I was able to pay for my visa at the airport. The airport seemed quite porous - some people waved me in, told me to get out of the main terminal and get some cash for the visa (only accept Bolivianos.) I then walked back in through security (without actually being checked), paid for my visa and left. When I got out of the airport my first thought was "Waaaaah! Are those temperatures for real? It was freezing. Brazil had made me forget that there are places in the world where 40 degrees celsius by 8am is not common. 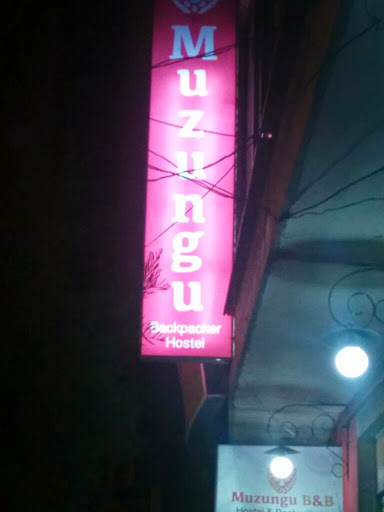 Given the hectic nature of my arrival in Bolivia the only place I had been able to get online was a really swanky hostel called "Estrella Andina". I later learnt that it was owned by the former Minister of Tourism. It was really well done. It was more like a hotel than a hostel. It was definitely above my price range, but I was so exhausted after my hectic trip that I stayed there 3 nights before I finally started looking for a cheaper place. I got to the hostel from the airport at 5am and was up at 9:30am to make sure to get breakfast. It had been many days since I had eaten a proper meal. Estrella Andina did not disappoint. It was breakfast fit for a king - eggs, yoghurt, all sorts of fruits, cereals, fresh juice etc. There was also lots of tea - I am a tea addict. I saw one called "coca mate" and didn't think much of it. I was drinking that for 2 or 3 days before I realized that this was coca coca. Strange but true. The consumption and sale of coca leaves is legal in Bolivia and is protected under the UN convention of narcotic drugs because of it's historical role for indigenous communities. It is also really good for altitude adjustment. La Paz is the highest capital city in the World at 12,000 feet above sea level (for some context, Mt. Kilmanjaro stands at 17,000 feet above sea level.) I had been warned that I would have headaches and issues breathing in Bolivia, but I was actually quite fine, until I got to Potosi (http://www.thekenyanexplorer.com/blog/2014/6/10/the-mountain-that-eats-men) The one thing though that was difficult was walking uphill in La Paz. Even a small incline on a street felt like a mountain. I felt quite embarrassed heaving and panting all the way up such streets. I spent the first few days idly exploring La Paz, and eating - A LOT! Bolivia is the poorest country in South America and food was really cheap. Actually everything was really cheap - it made me realize how expensive Kenya is. I would pay USD 2 for a decent length taxi ride, USD 3 for a 5 course meal in some places, USD 3-USD 10 for different hand knitted winter gear etc. On day one I ate Fritanga - a huge spicy pork and egg meal. I loved the food in Bolivia - big, meaty, great prices! Yum! Those first few days in La Paz were spent in total relaxation mode - I was so happy to have taken 2 months for my South America trip because this allowed me to have such lazy days when I needed them.